I'm now on week three with a newborn. Sleeplessness has compounded and I tend to be groggy or grumpy for long periods of the day. In this state, I find myself craving nostalgic and familiar foods—Ovomaltine, chocolate milk, Zwieback, and this, my mum's Marble Cake. Marmor is simply the elegant German word for marble. However this cake, as my mum makes it and as it is often found in Switzerland, doesn't have the marbled effect of similarly named cakes in North America. This recipe does not swirl the two batters, but places one on top of the other. For me, this was always ideal—I could quickly eat the vanilla section and get it out of the way, then savour my favourite part, the chocolate. In a large bowl, cream the butter then add the sugar and salt and continue to beat until fluffy. Crack the eggs into a liquid measuring cup and whisk them together. Beat them into the butter and sugar in three stages. Using the same liquid measuring cup, measure out the milk and vanilla. Alternate stirring the flour mixture and the milk mixture into the butter and sugar. Pour half of the batter into a 2L cake form. 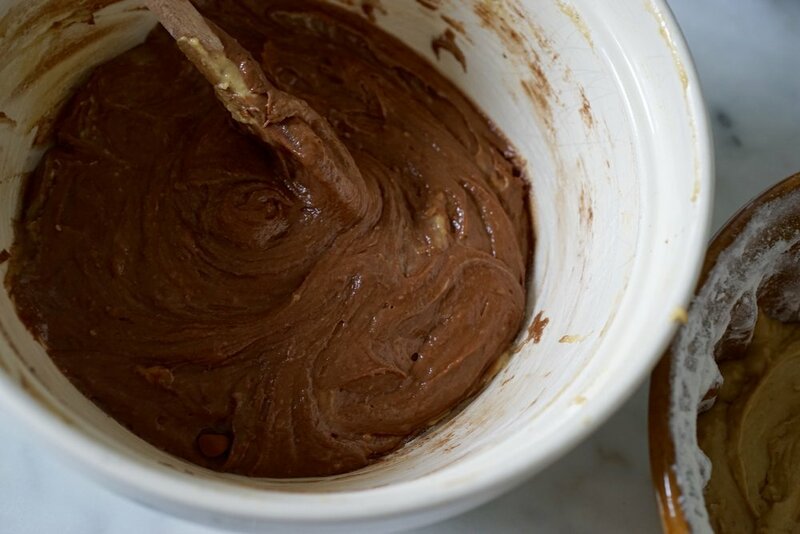 Add the melted dark chocolate to the leftover batter and mix well. Spread the chocolate batter on top of the vanilla batter in the form. Bake for about an hour or until the cake comes away from the sides and it springs back when pressed. I used brown sugar instead of white sugar, which is why the vanilla part of the cake pictured above is a bit darker. White sugar works just as well. 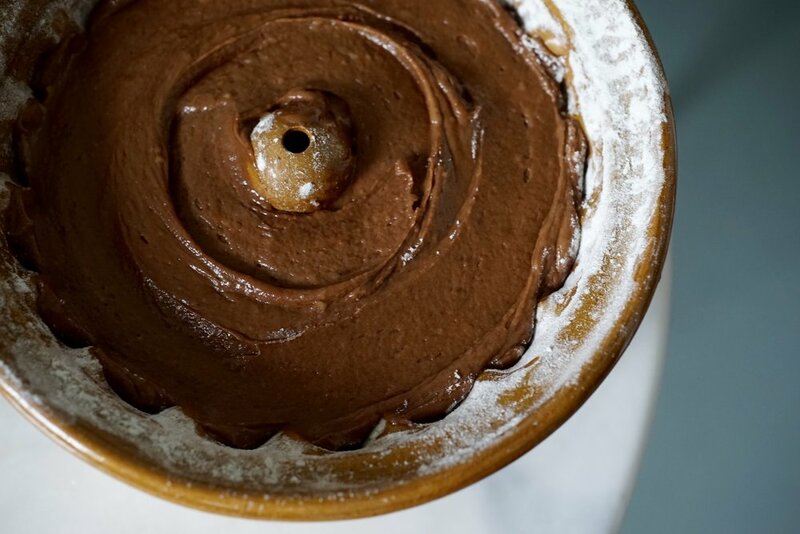 If you want a more traditional marble cake look, you can divide the batter into two bowls and drop spoonfuls alternately into the form. Then, gently drag a knife through the batter, swirling to get the desired marbled finish. I am always afraid that I won't be able to remove cakes from Kugelhopf forms, especially ceramic or highly detailled ones, so I buttered and floured my form extremely well (as you can see from the photos above). Maybe a little too well. When the cake came out, there was still a bit of flour stuck to it, which doesn't look so appealing. So be judicious in your flouring!